The Math Department is continuing its annual celebration of Pi Day with a pie eating contest organized by the Undergraduate Math Club. Various members of the Math Department will be competing to claim the honor of one of the best pie eaters ever! Pie-eating contestants aren't usually asked to contemplate the beauty of a pie's circumference divided by its diameter while devouring as much of it as they can. But on Pi Day, (March 14 - 3.14, get it? 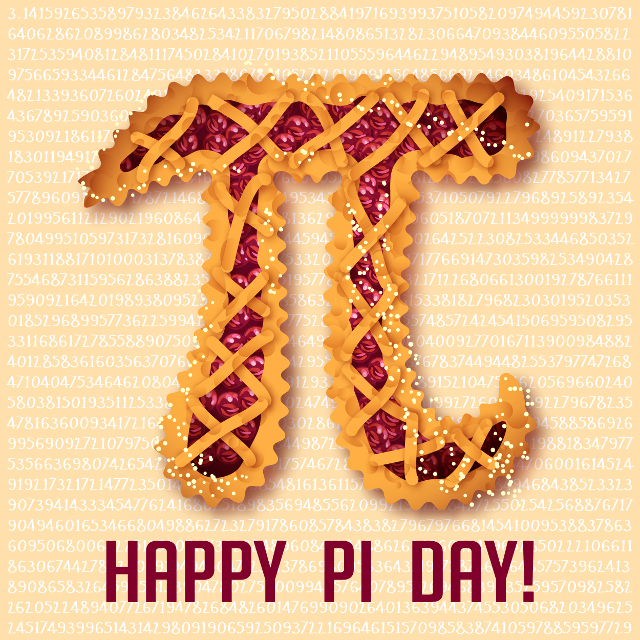 ), the universal mathematical constant Pi will be celebrated simultaneously by the consumption of its baked edible homonym.